Fuseco offers range of frequency response analyzers combined with multifunctional measurement. 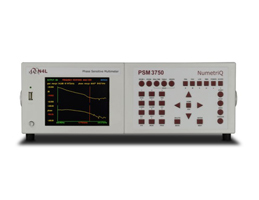 The PSM range of analyzers from Newtons4th (N4L) provides not just conventional frequency response measurements but can also be combined with an Impedance Analysis Interface to form a high accuracy impedance analyser, in the case of the PSM3750 this solution is able to provide impedance analysis up to 50MHz. Please find below comparison of range of frequency response analyzers.